How to find a spot specifically for the kids school supplies in your home. Getting house organized, when you have a school age child, can be a real challenge. But if you will follow our steps, keeping your kids school supplies organized will not be a problem any more. When the kids return home from school, it is frequently accompanied by an avalanche of books, backpacks and sport gear. But the more organized kids are, the less chance you'll hear, "Mom, where is my homework?" 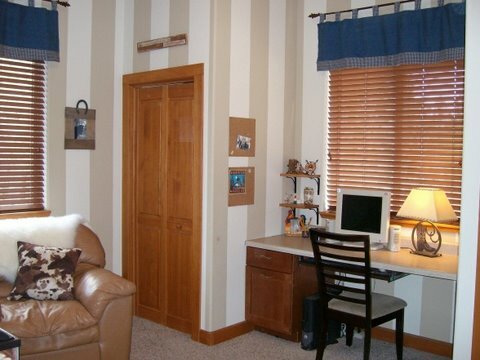 It can be challenging sometimes to find any extra space, particularly in smaller homes and apartments. 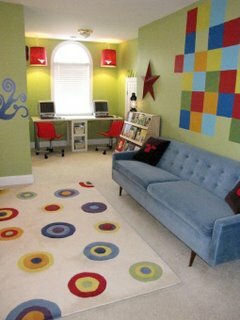 However, with some creativity, it is possible to find and make a nice homework center for the kids. There are a many options for workspaces: old kitchen table, old office desks, or even student desks from schools that have gotten rid of old desks. Any table and chairs will work, as long as they are at a comfortable height for the children. You can often find things at yard sales for a good price. Add a few hooks to the wall to hold backpacks; shelves for kids school supplies and books and you have a great study room. It is also important to make sure there is plenty of light. But getting house organized, requires much more. 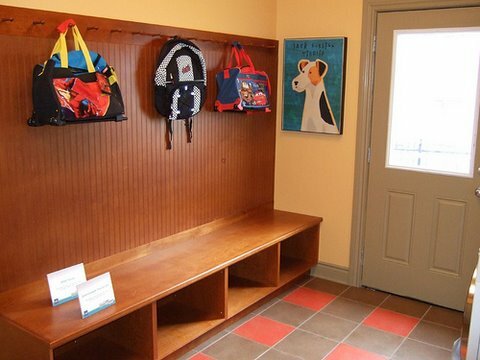 If you have space available, you could put hooks in a hallway, near the entrance or in a closet, one for each child. They should be responsible for making sure their backpack is on their hook when they come home and is only taken down when they are either doing their homework or getting ready for school. They can do their homework at the kitchen or dining room table, putting school supplies back in their backpack when it is done and then hung on their hook. 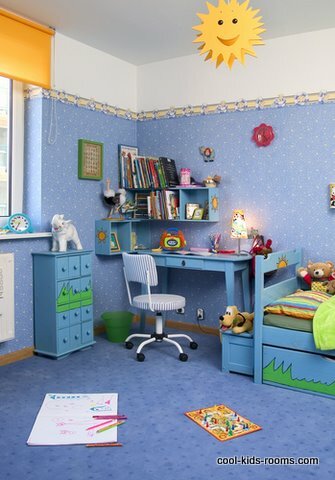 If there is a closet in your child's room, you can create a foldaway desk that attaches to the closet door. First measure the door and cut a piece of wood to fit (allowing for doorknob and hinges). After that sand, and paint the wood, and attach it to the door with hinges. Be certain to use screws that don't go all the way through the door, or bolts that go from the other side of the door into the wood. Attach another piece of wood vertically, also on hinges that can be pulled out to support the desk. When the your child isn't using it, fold the support and top back against the door and the desk is out of the way. The key is to get a system in place and making sure everyone remembers to put their school supplies in the same place every day. It will take a few reminders before the kids do it on their own, but eventually it will become something they do automatically when they come home from school and getting house organized will be much easier.